Something I try, and often fail, to do every once in a while is to keep you up to date with the new blogs I discover during my never-ending search for the World's Best Dumbasses. Today, I have set aside time to recognize these sites, many of which are indeed very new blogs. 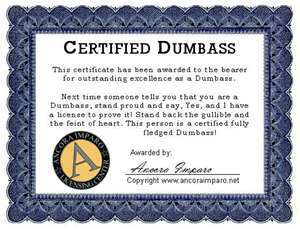 As the Fearless Leader of the Dumbass Horde, it is incumbent upon me to ferret out not only the Dumbasses I write about every day, but to seek and promote Dumbasses that are making a difference in the Dumbass-o-sphere. 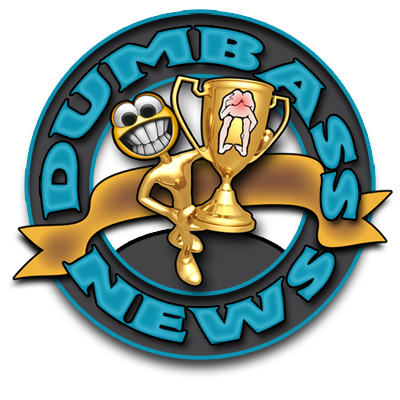 Following is a list of new additions to the "Dumbasses I Read" module in the left side bar of Dumbass News. I have read stuff from each of them and have deemed them to be Dumbass Worthy. Beef Blogonoff - Beef has been in the side bar for a while now and getting quite a bit of attention from Dumbasses everywhere. His take on things is, shall we say, "unique"? Funny too. Beefy's House O' Fun - Today's post at Beefy's? "Ode to Popcorn" What's not to like? DiatribesAndOvations - When the tag line of a blog's title makes you chuckle, then that blog is for me. BTW, the full title, including the tag line is: DiatribesAndOvations (Because RantsAndRaves Was Already Taken). I like it. fringewalk - fringewalk is the newest of the new. The first post is dated May 13. That's two days ago! Good luck, fringe! Single People's Grocery Lists - This blog has been around for almost a year now, but I just found it about two weeks ago. Great premise and funny content. We can all relate. STUPH BLOG - twindaddy runs the place. He's an IT Guy, so the blog is pretty fancy. I am jealous. He's also a damn good writer. Team Pretentious - The people who run this blog are really smart Dumbasses. Funny as Hell also. I don't have any connections to any of these blogs/bloggers other than the fact that most of them have read my blog and I have read theirs. I hope you'll hit them up as often as possible and enjoy what they have to say. They are a pretty talented group. Fringe...your keen insight into Dumbassery and my obvious Fearless Leader-ship skillz is truly astounding. The future of the Dumbass Horde lies with fine young Dumbasses such as yourself. I can now sleep well at night.